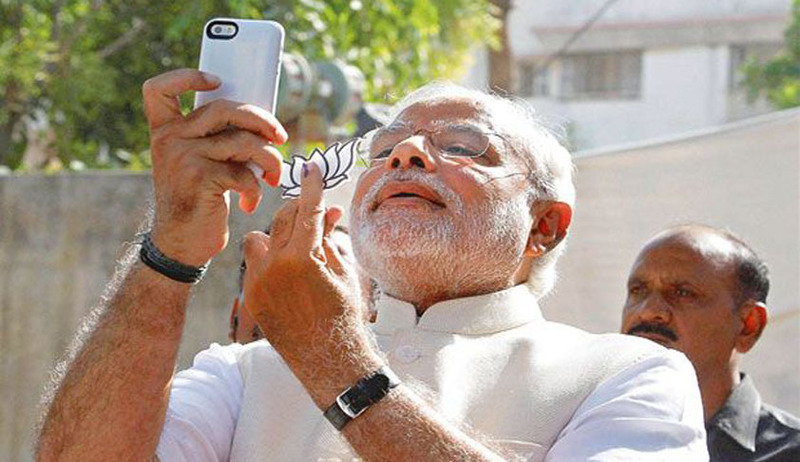 Gujarat High Court has reportedly recalled its order of admitting a criminal revision application against Prime Minister Narendra Modi for allegedly violating the Election Code of Conduct by clicking a selfie with the BJP election symbol, a lotus, and holding a press conference on the eve of 2014 Lok Sabha elections. The matter has now been adjourned to October 6. The Election Commission of India, had soon after Mr. Modi’s gesture last year, taken serious note of the incident and directed the Gujarat Police to file an FIR against Mr. Modi. The Commission had seen the video recording of Mr. Modi’s address and said that “from the substance, tone and tenor of the address” and the “manner in which the symbol, lotus, of the BJP was being displayed by him… thereby displaying to the public election matter by means of television in areas going to polls today”, it is “evident” that it “was in the nature of political speech intended and calculated to influence and affect the result of elections in the constituencies going to polls today, not only in Ahmedabad but also in all other constituencies in Gujarat and elsewhere in the country”. An FIR was filed under Section 126 (1) (a) and 126 (1) (b) of the Representation of the People Act, 1951, and Section 188 of the Indian Penal Code. A Petition was then filed by Aam Aadmi Party member, Nishant Varma, following an order of the Ahmedabad rural Court Judicial Magistrate S.R. Sinh, who had accepted a closure report giving a clean chit to the PM. The closure report was filed by the City Crime Branch, which investigated the allegations levied.